For the first time I am exhibiting in a Toronto Gallery. As part of Moniker Gallery’s Exhbibition Series, 22 artists will be showing at this one-week show. Once again, I’m also excited to be hanging on the wall with Kitchener artist Chris Austin. 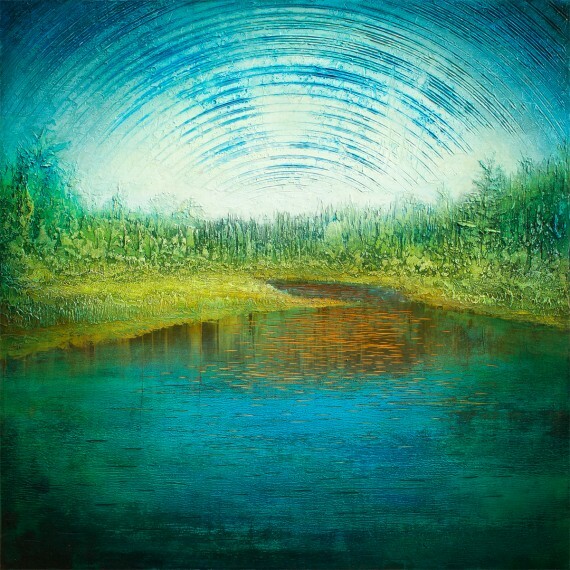 I’ll be showing “That dam river, Rockwood” from the Interrupted Horizons series. The opening reception is open to the public. Looking forward to seeing you there! This entry was posted on Wednesday, April 3rd, 2013 at 8:46 pm and is filed under Articles. You can follow any responses to this entry through the RSS 2.0 feed. You can leave a response, or trackback from your own site.